High fidelity Leo's Locksmith security solutions for your business! As a business owner, you are sure to require commercial locksmith services at one point or another. 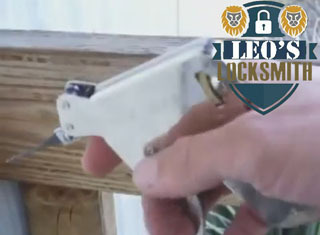 For expert services, it's Leo's Locksmith Service. Managing a small business or a big corporation? You are sure to be confronted with some commercial locksmith related issues at some point! Whether it’s a quick lock rekey, lock change, or an office lockout emergency that needs to be handled ASAP, you cannot afford to jeopardize the safety and integrity of your staff and office equipment by postponing it! Dial (424) 369-4419 and our dispatcher will immediately send over one of our office locksmith crews that will reach your office within 20 minutes from making your call. Your commercial locksmith needs can be catered to and met efficiently, and we currently offer free security estimates prior to beginning any actual work that you’ve contacted us for. Our technicians are licensed and are fully insured. No matter if you are in need of lock replacement, lock rekey or new lock installation services on your property, or you are interested in exploring some of our high tech security solutions, get in touch with an Leo's Locksmith representative! You will enjoy the professionalism and efficiency you deserve, at some of the lowest rates on the market! Get in touch with us and let our office locksmith technicians handle all your security issues for you! Industrial and office doors come in all shapes and sizes and are made from a wide range of materials. Because of the variety of doors that must be taken into account when installing and maintaining door locks, it’s important that a commercial locksmith has the proper knowledge and training that’ll enable him to know exactly which type of door locks will best suit each office door in a facility. With Leo's locksmith technicians on the job, you will regain your peace of mind and be able to rapidly resume all your office activities, knowing that you are free from any further distractions. Deadbolts are a secure choice because they can only be unlocked with a door knob or key and are difficult to pick. Great for use in industrial zones because they are heavy duty and can withstand a lot of use. They are good option because of their strength. We are often called upon to install these locks on offices. They unlock with a traditional keyhole and it contains a tumbler inside the cylinder. Motion sensor cameras in and around your building can deter theft and create a log of recent activities for you to view should you need to look over something. Protecting your intellectual property as well as physical client files is highly important for the overall success of your business. File cabinet locks reduce access to files to only a few people, or even just one person. ​Master lock systems are an excellent way to limit access to certain parts of your building, while still giving unrestricted access to managers and supervisors. Locks in these systems can be on internal and external doors. In offices and stores, panic bars are not only recommended, in most states, they are legally required in busy spaces to aid in quick exist in case of a fire emergency. If you have several people entering and exiting a workspace on a daily basis, or don’t want to carry extra keys around with you, we have keyless entry locks that will allow you to unlock your office door without a key. Our staff works with only the most state-of-the-art tools and the most advanced technologies. We make sure to only use the absolutely best tools available, because your business deserves the best. We are proud to ensure the full protection of your commercial space at all times. Your business must be protected to the utmost degree. If you are serious about protecting your office, and you need quality and affordable locksmith services you can trust, Leo's Locksmiths are here for you. Our results speak for themselves! Need fast commercial locksmith service? Dial (424) 369-4419 now! How long will it take your office locksmith to reach my business location? It almost always takes is between 15 and 30 minutes to get to your location depending on the distance and road conditions. Our locksmiths are mobile which means that our vans are fully supplied with all of the equipment necessary to provide preliminary services in a fast and effective fashion. It also means that we can reach your location much quicker. Do I have to understand the types of locks that are used in my business to use your commercial locksmith services? No. 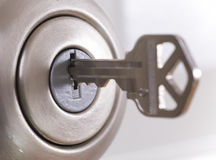 Our experts are knowledgeable about the different brands and types of locks out there so we can make specific assessments based on the models that you have, we can also provide you with a list of recommendations for better models on the market if they exist, we can diagnose any security problems you have, and provide solutions even if you don’t have any knowledge about the locks or products themselves. Each of our trained locksmiths will make it a point to explain everything adequately such that you can make an informed decision for your business. How long does it take for a locksmith to open a door? If you are locked out of your business, it can take us between 10 and 25 minutes to get you back inside. The time it takes is contingent upon the door itself, the type of lock you have and the circumstances which resulted in the issue. But rest assured we will get it open one way or another. Will your services break my locks? Most of the lock opening methods that we employed do not cause damage to the physical lock themselves. Under extreme circumstances we might have to drill the lock in which case we will of course ask for your permission ahead of time. If we have to drill than the lock has to be replaced. Thankfully the service is something we can also provide on the spot. If you open my commercial business safe does it open up the interior property? No. Our experts are very careful when it comes to handling your property and we make sure that all valuables inside of a commercial business safe are unharmed during the opening process. That said if you do have something fragile inside make sure to mention this before we complete any services. Will opening my commercial business safe cause damage to the safe itself? It is very likely that this will happen and you will have to replace the safe after it is been opened. The security infrastructure is typically compromised when we have to forced entry but your property will still be protected. We can help make recommendations for the best replacements on the market. Can you add a new deadbolt on my office door as part of your business locksmith services? Absolutely. In order to add a deadbolt to your existing locks we simply drill a new hole and then align the bolt with your existing door frame. Can you help with a mailbox lock? Yes. Our locksmiths can come to your area and find a lock that fits your mailbox to help heighten security for your business needs. We just moved into a new office space. Do I have to rekey the locks? It is highly recommended that you rekey all of the locks in your new office down to the mailbox key, garage key, and anything in between. You have no way of knowing who always still has a key to any part of your home. Previous owners or tenants may have rented rooms, given a key to a delivery company, provided a key to friends or family and in such cases you don’t know where those keys ended up. As such it is recommended that you rekey all the locks in a new home just to be on the safe side. Do you offer emergency locksmith services for offices? Yes. In addition to our regular services, we also offer round-the-clock emergency services. We can repair security hardware, unlocked doors, and replace keys anytime of the day or night. You can pay your invoice with a check, credit or debit card, even cash. We are very flexible and will work with you. We never close. We work 24 hours a day, seven days a week so that you always have someone to rely on. Is there a difference between rekeying my locks or getting a master key? There are differences. 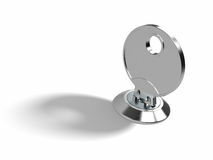 Rekeying your locks simply means that you are adjusting the tumblers in your existing locks so that a brand-new key can open it. 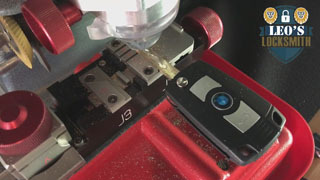 This is a cheaper method for improving security compared to replacing the physical hardware. In most cases you don’t have to physically replace the locks, you just change the tumblers so that they no longer opens for older keys and only open for newer keys. 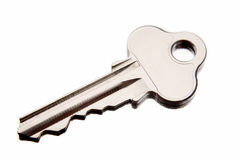 A master key, on the other hand, enables to distinct keys to open one lock. Most of the time you would have a master key for the property manager needs to be able to gain access to every room in the building and then each office owner or business owner would have a separate key to their distinct parts of the building.